Many of the staff here have donated their work to this great charity event, so if you can spare a few minutes take a look and maybe bag some cool art at a very cool price! 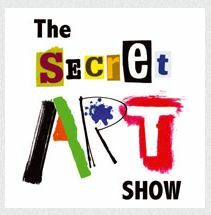 “Since November 2010 the Secret Art Show has raised over £87,000 to help the 100,000 people living with multiple sclerosis in the UK. Over 1,000 artists have donated art, each piece signed and dated on the back. All the paintings are sold anonymously for £45 each (plus p&p) and only when you have purchased the painting will the identity of the artist be revealed. The names of all the artists are on display online during the exhibition, on our artist’s page. Who knows; you might bag a masterpiece at a fraction of its true value! Why are we running the event? Multiple sclerosis (MS) is the most common cause of neurological disability in young adults, affecting 100,000 people in the UK. The MS Trust is committed to ensuring everyone affected by MS has the information they need to make the right decisions for them and access to the specialist services they need.